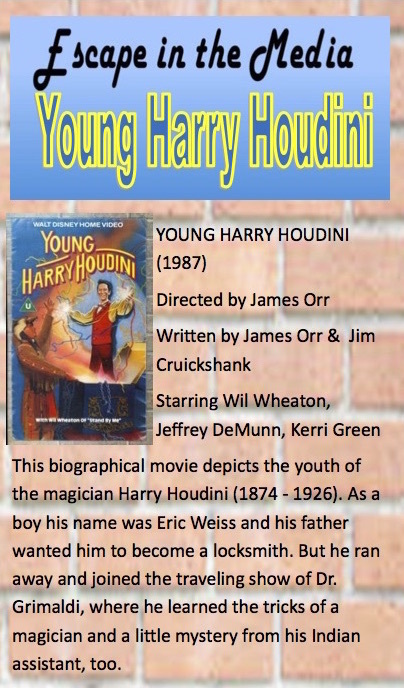 Back in May, Steve Valentine screened my copy of Young Harry Houdini at the Magic Castle with star Wil Wheaton in attendance. It was a fun night and rare chance to see a film that's never been released on VHS or DVD in the U.S. The screening was on the eve of my trip to the Midwest Magic Weekend, so I was never able to properly cover it here on the blog. Happily, the event and film was covered in the June 2015 issue of the online newsletter, The Chainletter (Vol 6. No. 57). The Chainletter is devoted to the art of escapology and put out monthly by Cliff Gerstman of T.I.E.S. (The International Escapologist Society). 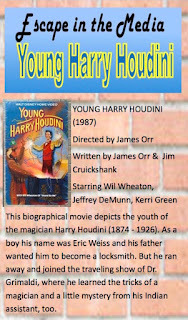 So if you want to read about Young Harry Houdini, CLICK HERE and download the June issue from the T.I.E.S. website. And while you're there, catch up on other issues of The Chainletter, which regularly features Houdini news and reviews.